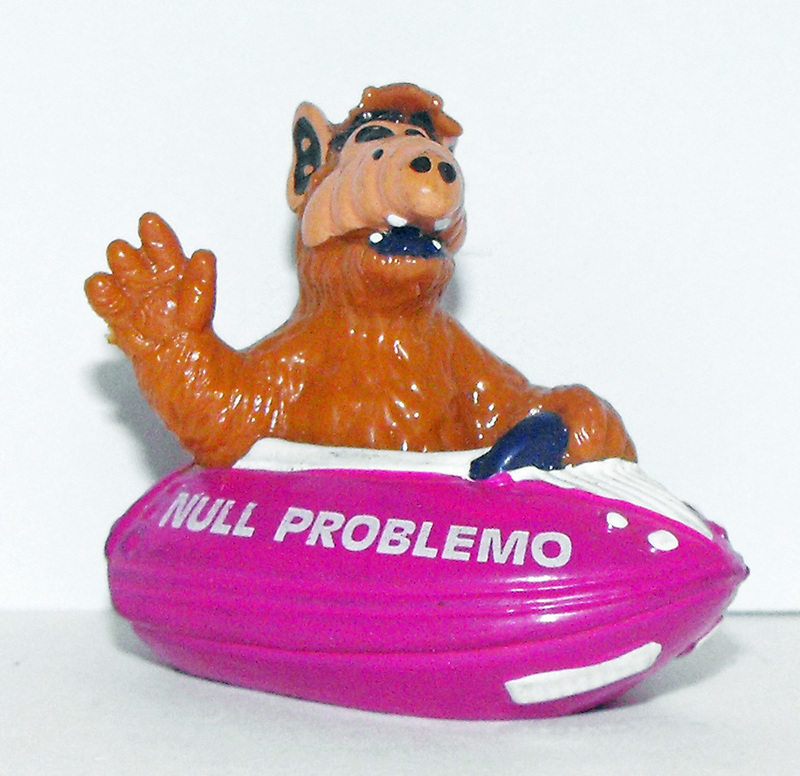 This Alf plastic figurine is about 1 inch tall and made of plastic. Brand new and never used. This figurine comes loose without any packaging or tag.